When we were cruising in Mandaluyong, hunger hit us. 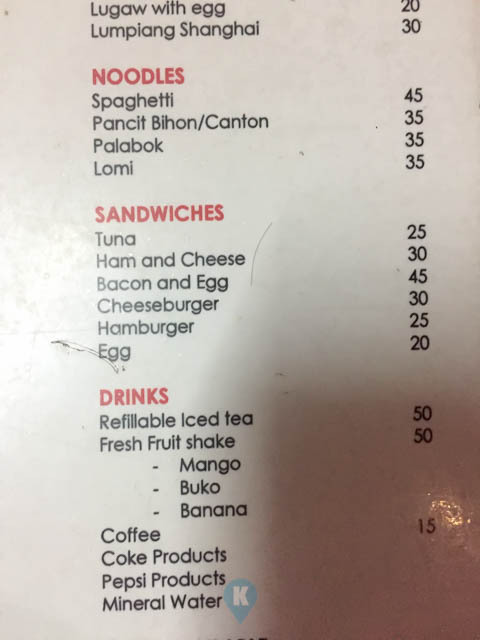 We needed a place where we can park the car quickly and eat right away as well. We can't find a parking place right away in the area. We can't consider parking far away and walk towards an eatery or restaurant. Then it hit me. 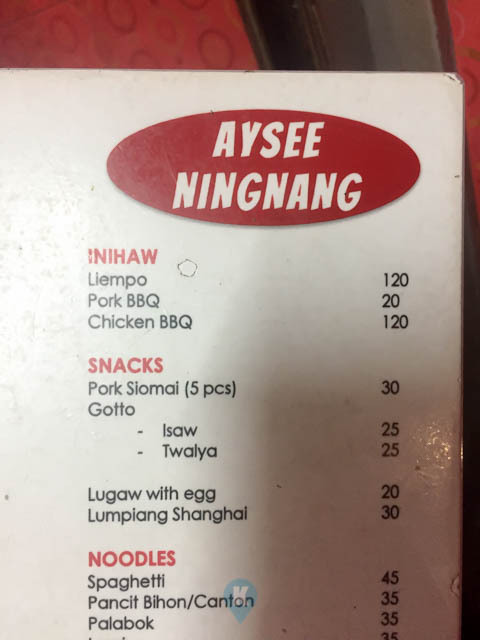 Why not Aysee in Pasig? Off we went to Ultra, then parked on the street itself in front of Aysee. What luck... We were also told by the server that a big group of diners just finished their dinner and left. Leaving the whole Aysee to ourselves. Leaving it all alone for us wasn't a sure sign of good service though. 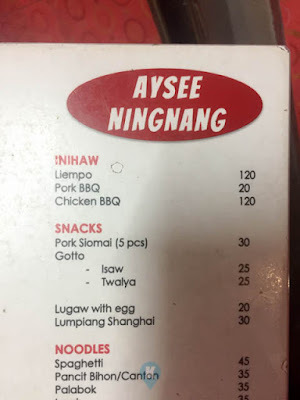 I think their staff was tired or something, it took us a few minutes before that same server who greeted us to come back just to give us a menu. Then he left us again. After looking on the menu, we were ready to order, I called the attention of another staff, or server, or cook, or kitchen help, or owner, or supervisor, or cashier (actually I don't know what he is), who was just sitting and could easily see us waving at him. Since he was not budging or doing anything, just looking at us, with a firm voice, I told him we are ready to order. Still no sign of life from him. I stood up and went up the cashier (who I didn't notice was in clear of view from me through a window) and through the same window I ordered our chosen food. Gladly she acknowledged me and called on the server earlier to attend to us. When we ordered, it dawned on me that our favorite menu items were not being served anymore. It was maybe 10 years back that I was eating Sisig with Rice Combo for Php75 then. Now they don't have that combo. 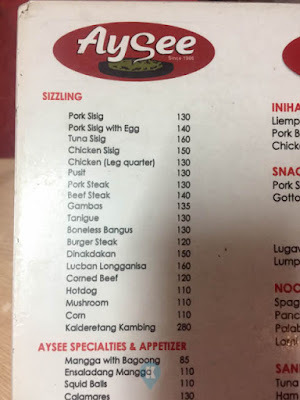 You can order sisig (good for two or three) for Php130. 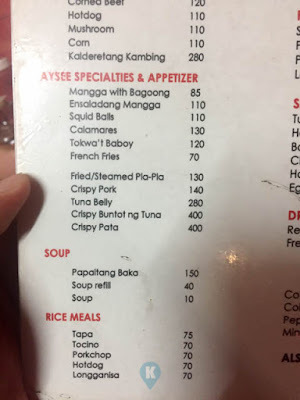 The Papaitang Baka is still being served but on a larger pot for Php150. So we ordered the two, hoping to bring back those memories 10 years back, when I still had that business in Ortigas. When it arrived, immediately I went on beast mode. 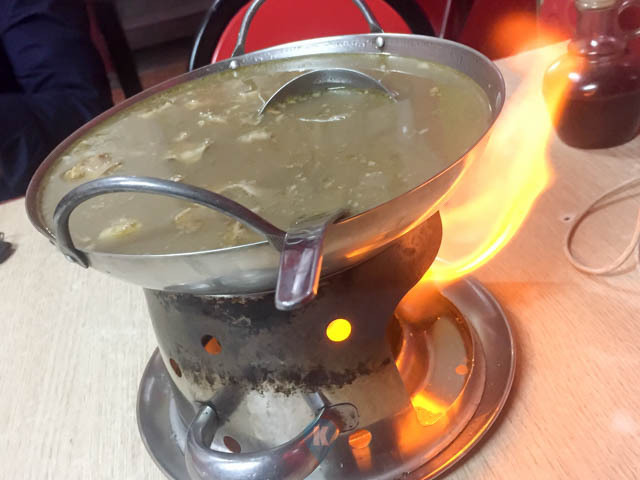 Evading the big flames, I took scoopfuls of the papaitan right away. Took a sip, whoa, still tastes the same. when I noticed the entrails, it was different from decades ago. 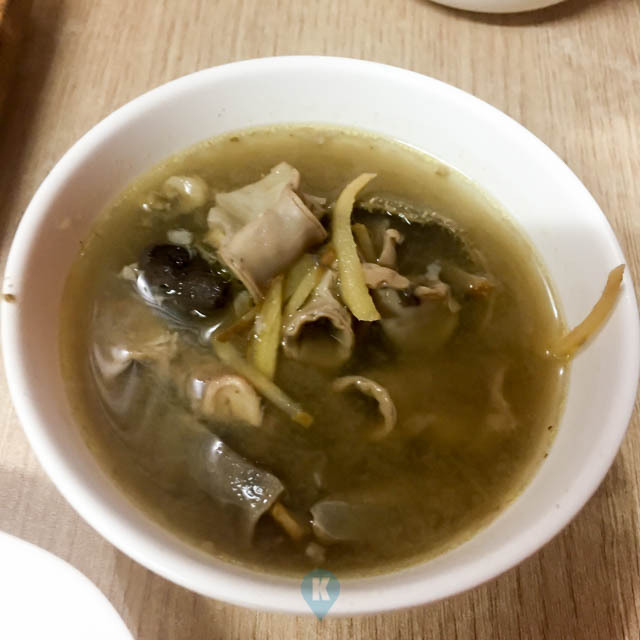 Before you can't distinguish what you were eating as the same were finely chopped to bits, now you can see what looks like the instestines and esophagus. If I had a glue or mighty bond, I can put them together and make a whole cow I guess. hahahaha. 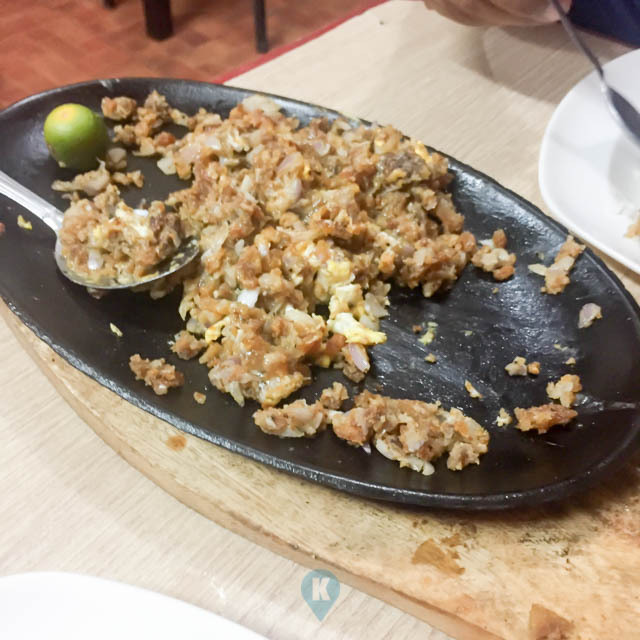 As far as the sisig was concerned. It was a far cry from a decade ago. It wasn't as tasty as I last remembered it. It had a peanut taste this time around. 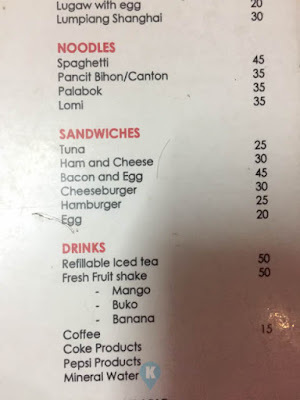 I think they tweaked the ingredients somehow. It wasn't the sisig I knew before. I ate here maybe last year with some friends and it was still somehow faithful to the taste decades ago, but this time, it was somehow off. I hope this turn off is just a fluke on their part. Even if they tweaked it so it would be different from the other sisigs out there, sadly still it would not fare up. I hope they bring back that old taste when I do come back. I still believe it was bad luck when we dropped by, their regular cook might be sick or down with love maybe. 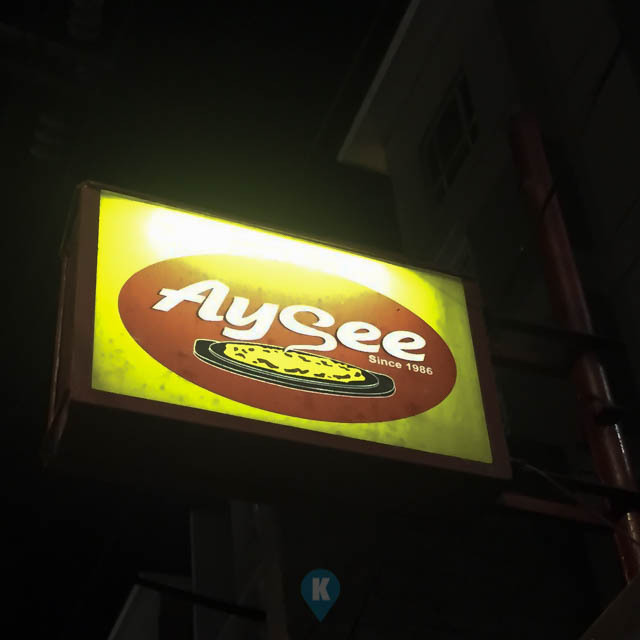 Aysee is a tradition for the working man in Ortigas, and holds a lot of memories for us. The barber's tales, the fairy tales, the grandfather tales are all here, stuck in my mind, corelated with Aysee. The Legendary sign opposite that of Ultra going down to C5. 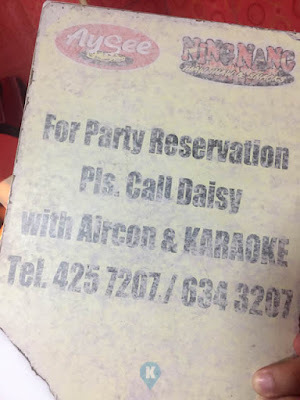 They have Karaoke and Aircon?? ?